You must be registered to purchase a ticket. Tickets are $50 per person and can be purchased online. Tickets will also be available for purchase onsite until 9:30 a.m. on Wednesday, August 14, or until the event sells out. If you arrive late, seating and/or meal service may no longer be available. It’s time to party in Charm City! After a full week of learning and networking, this is your night to celebrate. 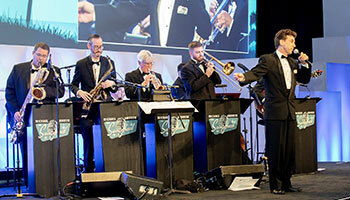 The evening will start with a reception and music from Michael Andrew and the Swingerhead band. At 6:45 pm, the main ballroom doors will open, and the rest of the program will begin with a live performance from Taylor Mason. 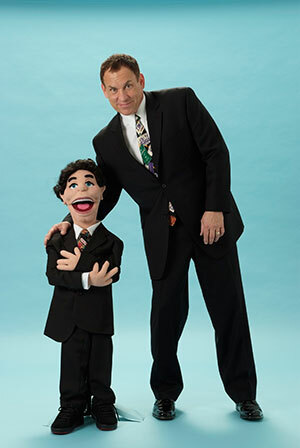 Taylor Mason is a comedian, entertainer, musician, ventriloquist and actor all wrapped into one. His performances have taken him from Carnegie Hall to The Sydney Opera House and for this one special night of celebration he’ll be joining APCO for what will surely be many laughs and pure fun. For dinner seating, all tables will be open seating (with the exception of designated reserved tables). Dress for this event is business casual … attire like khaki pants, slacks, skirts/dresses, as well as short-sleeved polo shirts and long-sleeved shirts. Try to avoid wearing jeans, tennis shoes, T-shirts and sweatshirts.